Earlier this week, Omega unveiled a very exclusive chronograph, limited to only 18 pieces that are powered by a restored 18’’’ CHRO calibre from 1913, called “First OMEGA Wrist-Chronograph Limited Edition”. 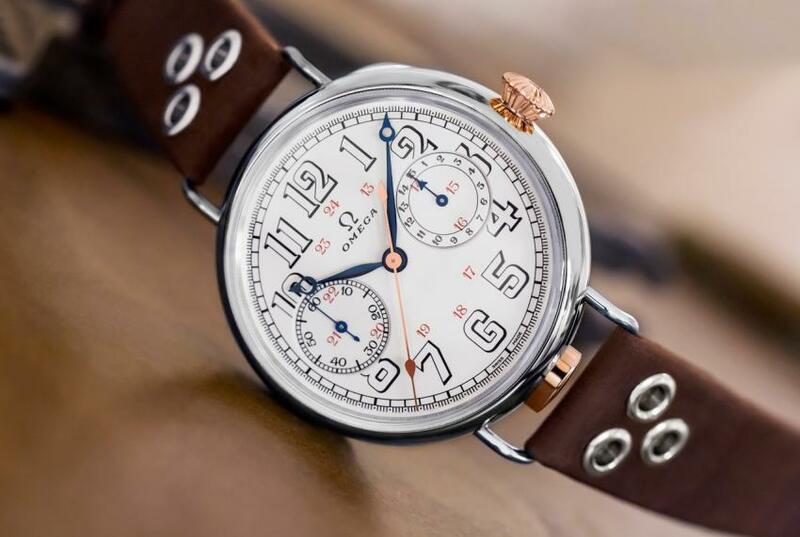 Unlike the many vintage-inspired models introduced lately by several Swiss brands, powered by modern movements, inside the First Omega Wrist-Chronograph the movements are actually 105 years old. The original 18’’’ CHRO calibre from 1913 before and after being refurbished. It took the expert hands at Omega’s Atelier Tourbillon hundreds of work hours to complete a thorough refurbishing of the 18’’’ CHRO movements. 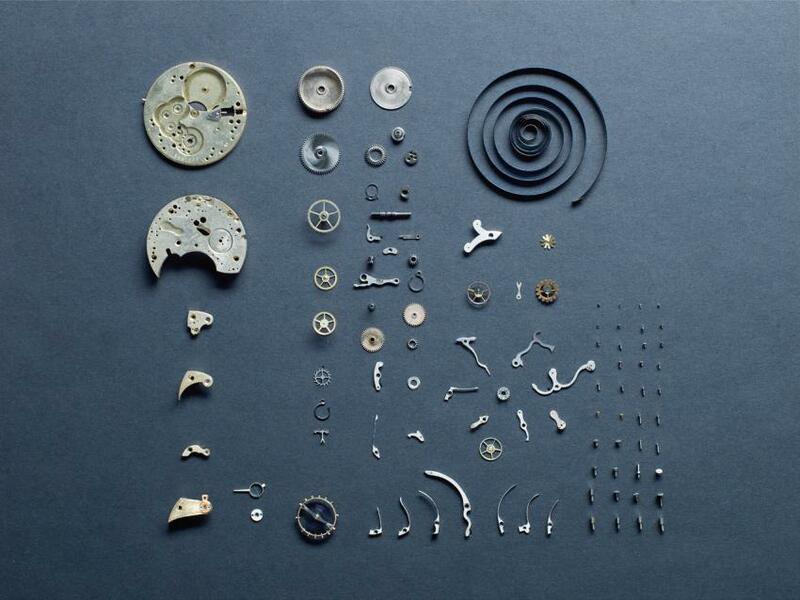 Each of the 18 movements were different and the watchmakers had to perform a seprate analysis for each one of them. The mainplates and the bridges were sandblasted and smoothed with a brass brush and every steel component underwent a haute-horology finishing. Every wheel was checked to ensure that the gear system worked perfectly and new jewels were added that required adjustments to the original holes. 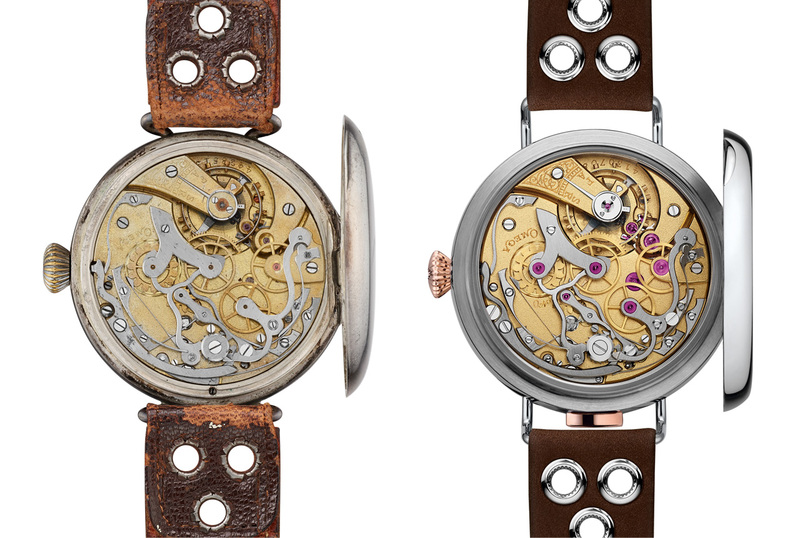 The refurbishing process ended with an extensive testing of the movements. 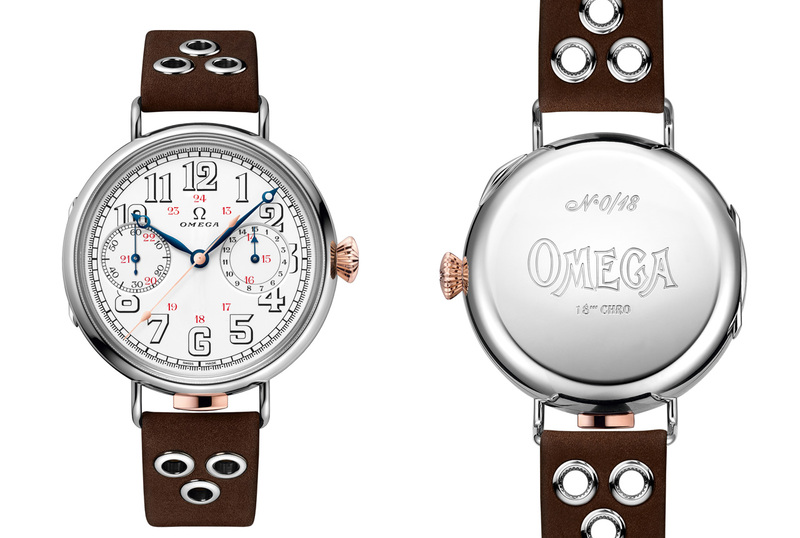 In 1913, thanks to the 18”’ CHRO calibre, Omgea became one of the first manufacturers of wrist-chronographs and the “new” watches follow closely the original design that was much appretiated by the military personnel during the First World War, especially by pilots with numerous models having been delivered to the Royal Flying Corps. For these limited edition pieces, Omega used modern materials, for example, the 47.5 mm case is made from 18K white gold and a few highlights of Sedna gold when it comes to the crown, pusher and central second hand. The hatched caseback, decorated with a historic Omega logo, can be flipped open to reveal the refurbished movement positioned behind sapphire-crystal. 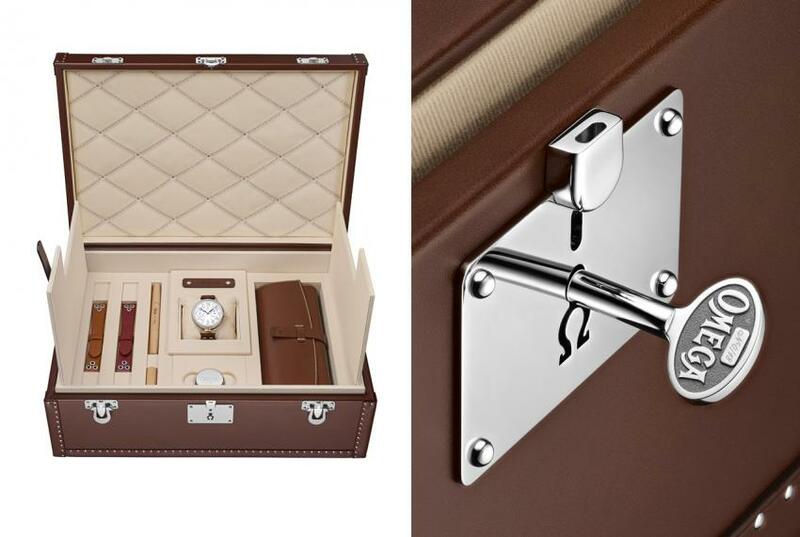 The First OMEGA Wrist-Chronograph Limited Edition is delivered in a handcrafted leather trunk that also includes two additional leather straps, a strap changing tool, loupe and travel pouch. It can be yours for CHF 120,000.